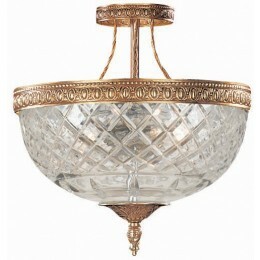 This ceiling mount beautifully pairs a Chrome plated solid brass frame with a 24% cut crystal bowl, making it a perfect addition to any traditional room in your home. 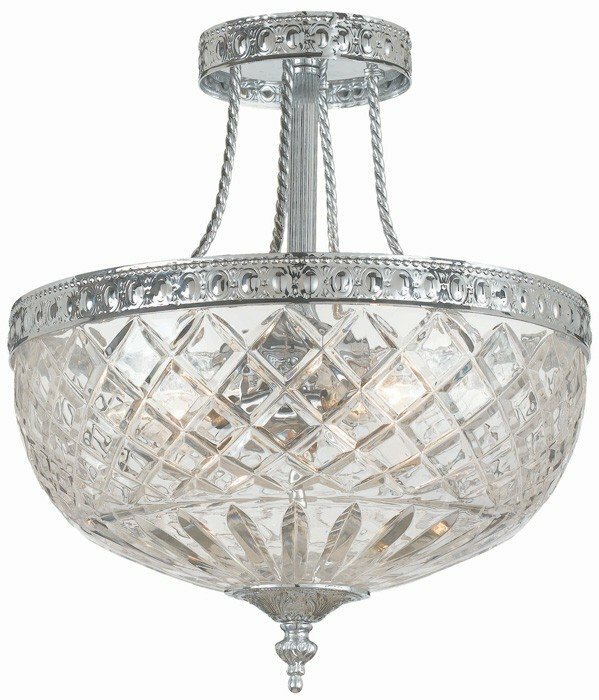 The Crystorama 118-12-CH Richmond collection Close to Ceiling Lighting in Polished Chrome uses Incandescent light output and brings Antique style. 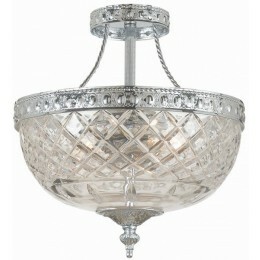 This item is 14"H x 12"W. The total wattage is 180 and the voltage is 120 volts. 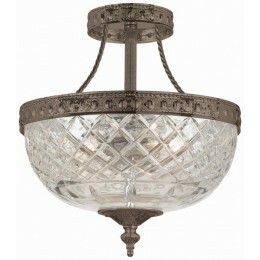 The Crystorama 118-12-CH requires 3 bulbs. 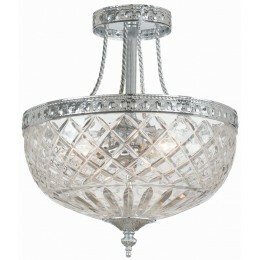 Additional Information: Shade-Lead Crystal.